Home Page of The Rugby Kart Club. After the rain at Daytona MK, we pray for better conditions than the ones we had at ELK last season, where snow featured for most of the day. Next meeting takes place on Sunday April 7th, with a start time of 10.45 am, so arrival is between 10:00 and 10:15. If you are thinking of entering this years Midland Kart Championship on Sunday August 18th, please Register using our Contacts Page. Please email clarkmcowell@talktalk.net for further info or to enter. You can now follow the Club on Facebook and Instagram. If you are on Facebook, please join The British Kart Driving Group. Your views, photos, videos and comments are most welcome. At Rugby Kart Club the emphasis is on having fun whilst enjoying very competitive, but fair and friendly Racing. We hold a race each month throughout the year from February to December as part of our Sprint Championship. Membership to the Club is just £25.00 per year and open to anyone from 16 years of age upwards. You have to be a Full Member to drive in our Sprint Championship, to be eligible to collect points, medals & trophies and to receive email updates. If you only wish to enter our D-Max Championship, Membership is £12.00 per year. Our race format for the Sprint Championship is a 10 minute qualifying session, followed by 2 x 20 minute Sprint Races. That's a full 50 minutes of karting action. Our race format for the RKC Midweek D-Max Championship is a 10 minute qualifying session, followed by a 20 minute Sprint Race. 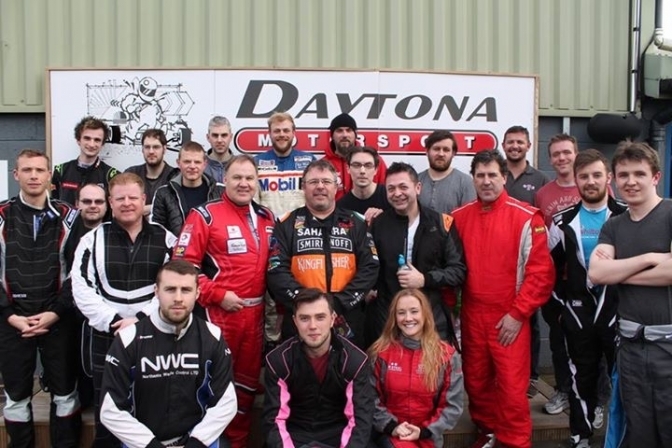 To race or practice with Rugby Kart Club, you don't need a race licence, so this means that anyone can get into competitive motorsport for a relatively low cost. You can enter as many or as few events as you wish. The circuits we race at are all outdoors and vary in length. The shortest being 630 metres, the longest 1360 metres. All circuits are marshalled and there is always a driver briefing before each event. The circuits we use are, Sutton Circuit, Clockwise & Anti-Clockwise, the GP circuit at Daytona Tamworth and the full 1360m circuit at Daytona Milton Keynes. All exceptional tracks and all using the ever reliable Sodi Karts. During 2019, we shall also be holding races at ELK Motorsport. All of the venues are professionally operated offering superb facilities. They are all located within 60 miles of Rugby, so travel costs are kept to a minimum. Races cost between £55 - £72 depending on the venue and circuit layout. The cost is per driver and includes all equipment, including kart hire, fuel, overalls, gloves and crash helmet. Payment is generally by cash on the day however all of the circuits do require us to pay a deposit for their events and this will need to be paid by bank transfer by a certain date before the event to guarantee your place. You will be notified of this when booking in. All you need to do is email clarkmcowell@talktalk.net with your name and weight in kgs to give us an idea of your class. Then just come along and pay on the day (Some circuits require deposit beforehand. You will be notified of this when booking). Taster sessions and practice sessions can also be arranged from just £48 per person. Karting is probably the nearest feeling there is to driving a Formula 1 car. Many F1 drivers started out in karts and most still drive them today to hone and sharpen their race-craft skills. The late, great Ayrton Senna once said "karting is the purest form of motorsport". So what are you waiting for? Join us now. Email - our preferred method as we communicate through mail leading up to events.